commented on "Osama Bin Laden just died, but on the spot he became a saint! Not like Pope John Paul II who still needs one more miracle to become a ..."
Osama Bin Laden just died, but on the spot he became a saint! Not like Pope John Paul II who still needs one more miracle to become a saint and be called "Santong Kuba"! Osama is now able to give Scriptures which would soon be amended into Qur'an. This Scripture is the best, alright? Mohammed's writings are rubbish! "And Allah said, 'Cast your burdens upon me those of Osama Bin Laden. Come to me and I will make you Islamic Saints. For my yoke is clumsy and itchy, and my burden is none! Come to me and I will give you bombs!'" 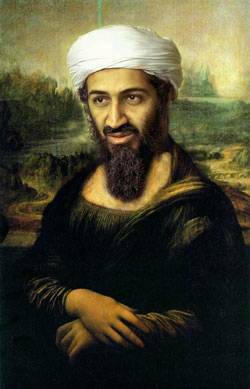 More of Osama Bin Laden sainthood in this web's Downloads Section.